If you have wandered the cobblestone streets of Paris, watched the setting sunlight reflected in the Seine or succumbed in any number of countless ways to the romance of Paris, you know how the beauty of this city sinks deep into your heart. If there’s anyone who can paint of portrait in film of this romance—of the city and the person who falls in love with it—it’s Woody Allen. Paris lovers are in luck, because Allen turned his creative eye on our beloved City of Light in his film Midnight in Paris. Where else but in Paris could one of the most delightful and romantic movies of the year be set? Guests at our Paris Perfect apartment rentals have asked where some the gorgeous scenes were filmed, and we reveal all here. Come along with us and fall in love with the magic of Paris by visiting some of our favorite locations where Woody Allen filmed Midnight in Paris! 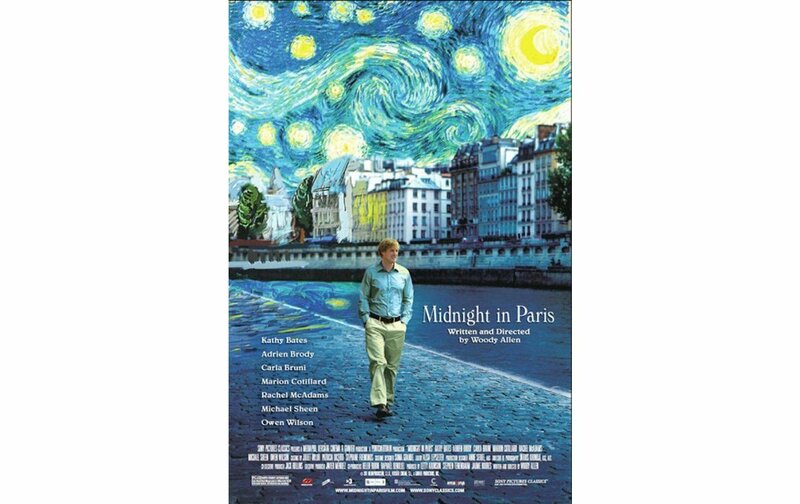 The movie opens with a gorgeous montage that makes Midnight in Paris a must see on the big screen if you can. This is Paris at its most magical—the monuments, the views, the changing colors—everything that draws you in. The romantic montage is the perfect backdrop for a conversation between a man, obviously smitten with Paris, and a woman who decidedly does not share his views. Swept away by the romance of Paris, we land in the peaceful gardens of Giverny where a blond haired couple stand on the bridge where Monet created so many of his dreamy waterlily paintings. 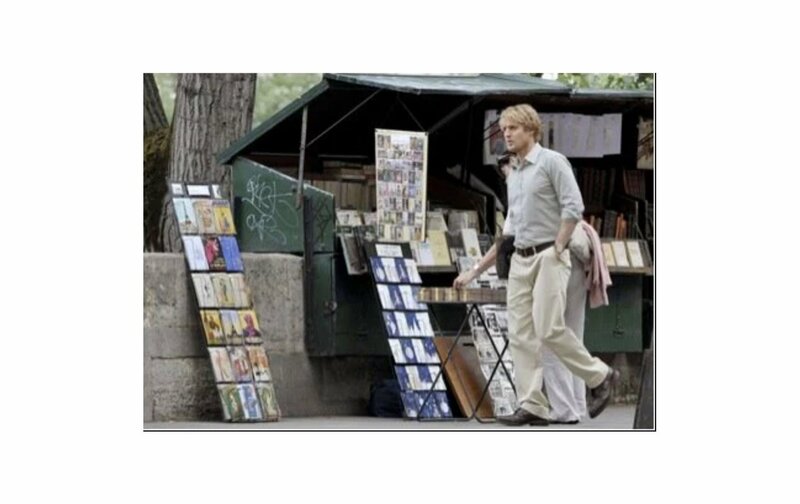 The magic of Paris has found its way into the romantic and nostalgic heart of Gil (played by Owen Wilson), a Hollywood screenwriter struggling through his first novel. Gil is on holiday in Paris with his much more practically minded fiancée Inez (Rachel McAdams) and her conservative parents. 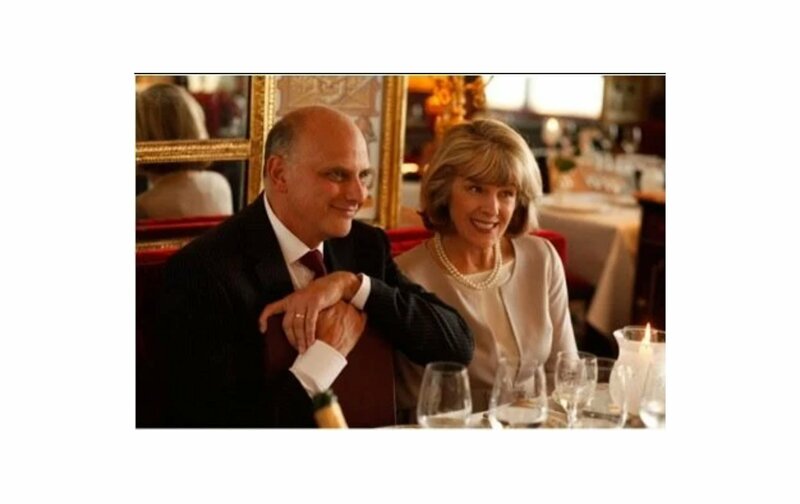 With differing views on many points, Gil and Inez naturally disagree on the charms of Paris. Gil has fallen in love with the romance of Paris and finds inspiration for his novel around every corner, while Inez is much more focused on their upcoming wedding. Located just 80 km west of Paris, Monet’s gardens at Giverny is a wonderful day trip from Paris. Enjoy a day strolling through the landscape that inspired Monet, and then head back to Paris to see the paintings he created just like Gil and Inez do in Midnight in Paris. Gil and Inez are driven further apart when they bump into John and Carol, friends of Inez from America. Although John is quite pompous, and a “pseudo intellectual” as Gil describes him, Inez finds his know-it-all attitude captivating while Gil finds him pedantic. 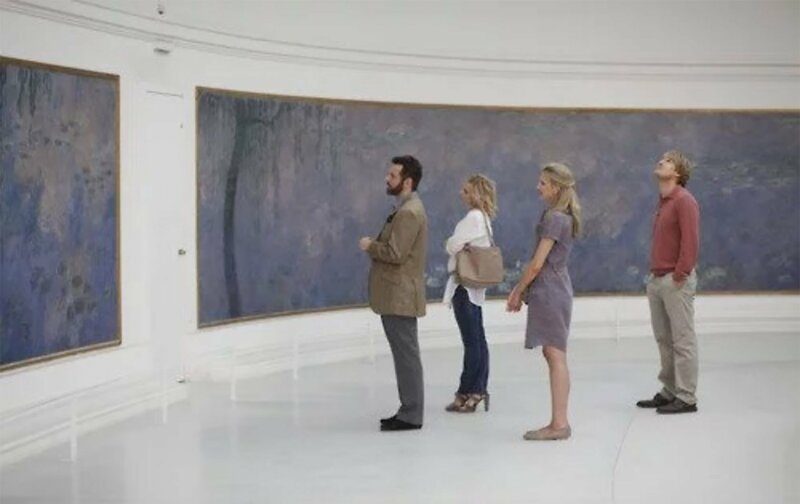 The two couples visit the Musée de l’Orangerie, admiring Monet’s mesmerizing Les Nymphéas paintings inspired by the gardens at Giverny. Gil and Inez also visit the beautiful Rodin Museum with Paul and Carol, one of our favorite spots in the 7th arrondissement. While Paul promenades through the gardens extolling his misinformed knowledge of Rodin, he is politely corrected by the museum guide played by the beautiful First Lady of France Carla Bruni. Gil is taken by the museum guide, and he returns to ask her help during his later adventures in Paris. The Rodin Museum is set in a beautiful 18th-century mansion where the artist lived and worked. 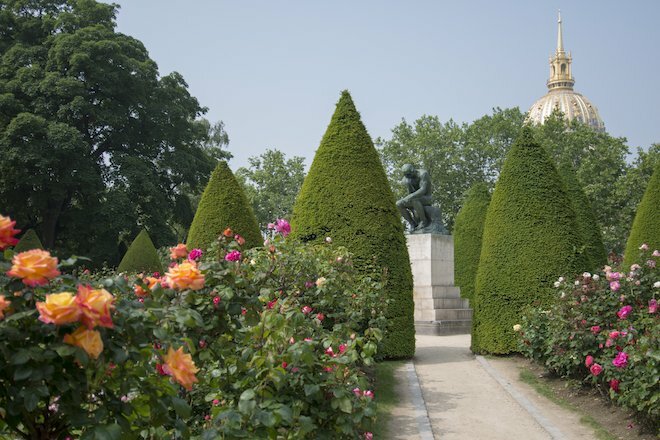 The peaceful gardens, famous for the varieties of roses, form a lovely backdrop to Rodin’s sculptures on display. Although we would much prefer to have Carla Bruni as our guide rather than Paul! Paul is the know-it-all leader as the couples make another day trip from Paris to the Chateau de Versailles. The more time Gil spends listening to Paul talk while his finacée soaks it up without questioning anything, the more he wants to discover the Paris that he finds inspirational. Inez, however, is much more interested in the pseudo intellectual Paris offered by Paul. Strolling through the stunning gardens at Versailles like Gil and Inez is a magical moment. There is still that feeling of royal splendor that makes it seem like you could turn a corner and find that you’ve stepped back into history, too! Only 20 km southwest of Paris, the Palace of Versailles is easily reachable by train from the center of the city. Gil and Inez stay in the luxurious five star Hôtel Le Bristol in the 8th arrondissement, and many of the scenes were shot there, including the amusing scene where Gil tries to explain his dressed up appearance for his inspirational walks through Paris at night. Inez has no idea of the adventures she’s missing! 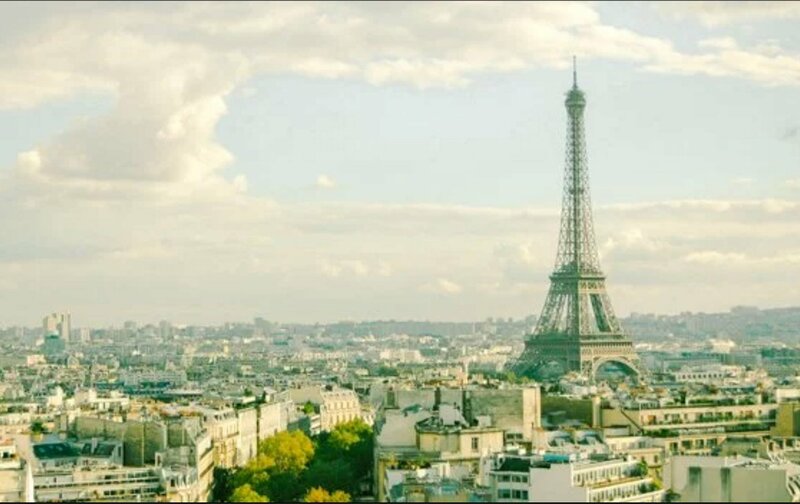 For a luxurious stay in Paris without the unbelievable cost of a 5 star hotel, consider a stay in one of our gorgeous Paris Perfect luxury apartments in the 7th arrondissement. Enjoy romantic views of Paris, fabulous central locations, elegant décor and the comforts of your own apartment in one of our many apartments just across the Seine from the Le Bristol, such as our Champagne or Volnay Paris rentals. The restaurant Le Grand Véfour exudes 18th-century Parisian glamour, and is the setting Woody Allen chose for a lunch scene with Gil, Inez and her parents. Located in the arcades of the lovely Palais Royal in the 1st arrondissement, Le Grand Véfour has been a Parisian institution for over 200 years. We love the wonderful shopping and the pretty gardens at the Palais Royal, which are very near our grand Musigny three bedroom apartment. 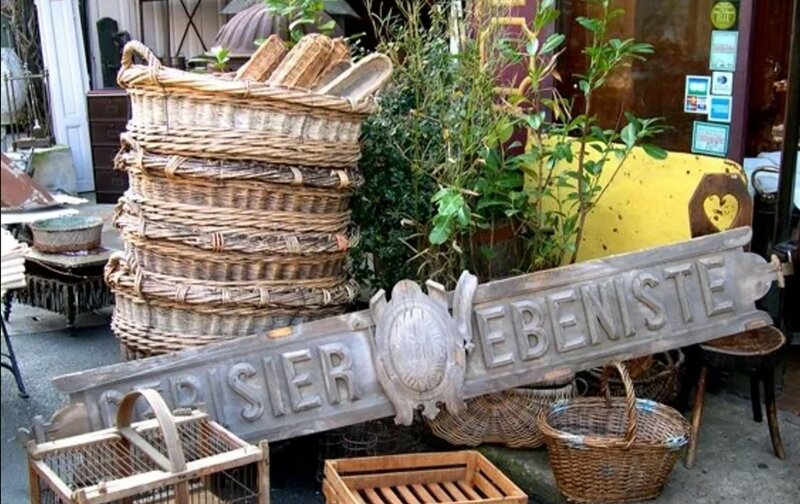 Gil and Inez visit the famous Paris flea market Les Puces de Saint-Ouen located at Porte de Clignancourt. While Inez shops, Gil meets Gabrielle, a friendly woman selling antiques and memorabilia who shares his passion for the music and art of 1920s Paris. 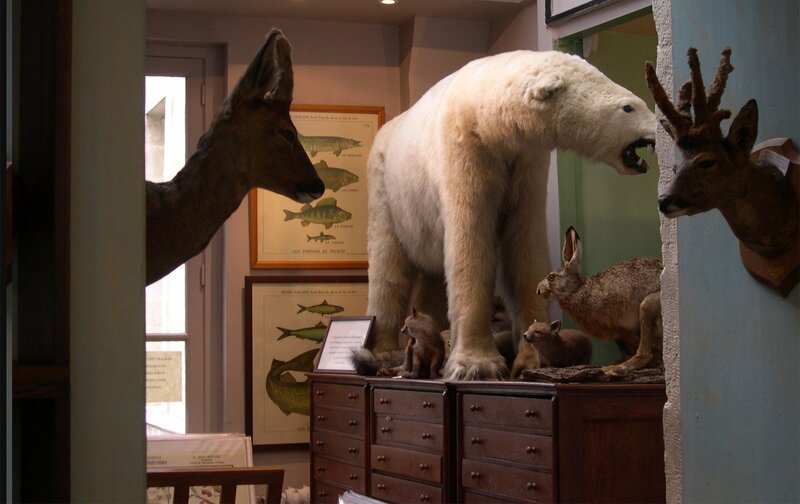 You can visit Les Puces during your holiday in Paris, and perhaps discover a treasure from the past, too. It covers seven hectares and is the largest antique market in the world, receiving between 120,000 to 180,000 visitors each weekend. We often visit the markets to find beautiful antiques to decorate our luxury Paris apartment rentals. We even have some great hints and tips to help you navigate Les Puces on your next visit! Just like Gil, I love walking along the banks of the Seine. It doesn’t matter what time of day—early morning as the sun rises, or sunset when the city turns pink, or at night when the lights stretch across the dark water—it’s always beautiful. The heart of Paris is small enough that you can walk to many favorite spots, and that’s just what Gil does. Whether it’s during the day or during Gil’s fantastical midnight adventures in 1920s Paris, many scenes in the movie were filmed along the Seine. On one of his walks he passes Les Bouquinistes, the bookstalls lining the Seine that sell antique and secondhand books, prints and many other treasures. In another scene with Gil and the museum guide played by Carla Bruni, they sit in the beautiful garden behind the Cathedral of Notre Dame on the Ile de la Cité island in the middle of the Seine River. This is such a peaceful and romantic spot in Paris, and not far from our Echézeaux two bedroom Paris apartment overlooking the Ile de la Cité’s charming Place Dauphine. 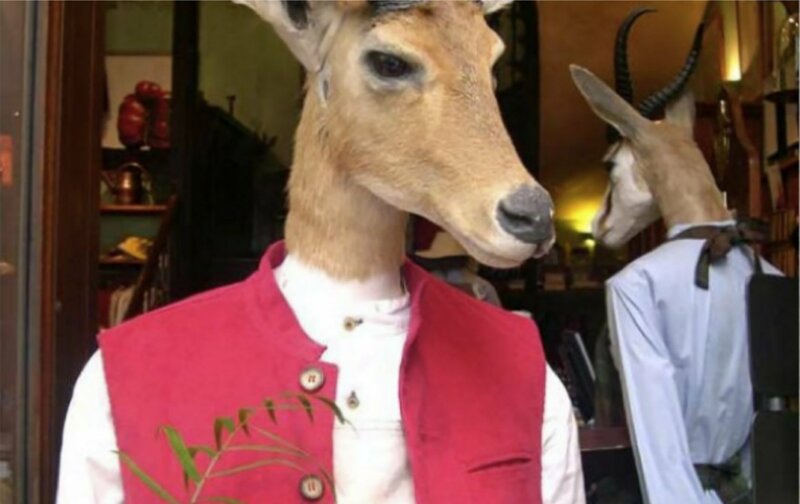 Deyrolle—perhaps one of Paris’ most unusual shops—is the perfectly surreal setting for Gil’s midnight adventures in Paris. Founded in 1831, this store dates from the time of French Kings and Queens. The ground floor of Deyrolle has been transformed into a chic gardening store called Le Prince Jardinier. I’m not sure if I’d host a cocktail party in Deyrolle! Deyrolle is located on rue du Bac, less than 5 minutes from several of our Paris apartment rentals including: Nuits Saint Georges and Corton. Fitting right in with the literary and artistic ambiance of Midnight in Paris is a stroll along the Boulevard Saint-Germain to St-Germain-des-Prés, long considered the literary heart and soul of Paris. Gil’s nighttime adventures take him back into the world of writers and artists and the lively café scene they created in Paris. Since Le Precope, the world’s first coffeehouse, opened in 1686, artists, writers and eminent intellectuals have made the St-Germain-des-Prés cafés their regular haunts. 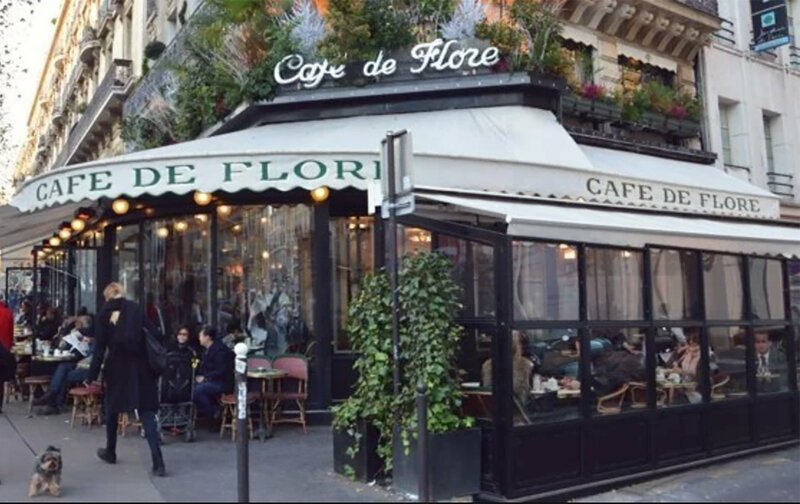 Soak up the nostalgic atmosphere at the most famous cafés, Les Deux Magots, Café de Flore, Le Precope, Brasserie Lipp and Café Bonaparte. 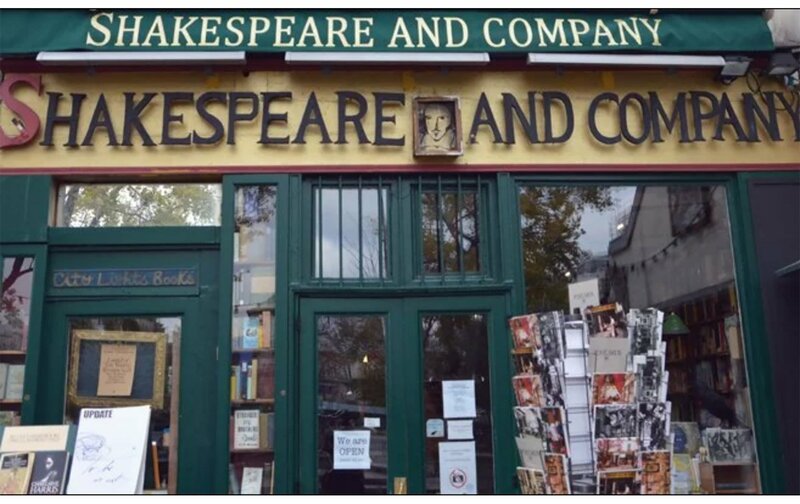 With his real life literary pursuits and his nighttime adventures with the likes of F. Scott Fitzgerald, Hemingway and Gertrude Stein to just name a few, is no surprise that we see Gil leave the famous Shakespeare and Company bookstore just across the Seine from Notre Dame. It still draws a large and artistic expat crowd, and is a fun stop while exploring the Ile de la Cité and the Latin Quarter! Gil’s nighttime adventures into the Paris of the 1920s begin in the Latin Quarter, where he gets lost one night. As he sits down on the steps of the church Saint Etienne-du-Mont near the Panthéon in the 5th arrondissement, a vintage car pulls up and a group of partygoers in 1920s clothing invite him inside. Time and time again in the movie, he returns to this small flight of stairs on the side of Saint Etienne-du-Mont at the stroke of midnight to travel back in time. Stay in the literary and artistic heart of Paris at our charming Notre Dame two bedroom garden apartment, the perfect spot for enjoying leisurely walks along the Seine and through the Latin Quarter just like Gil in Midnight in Paris. 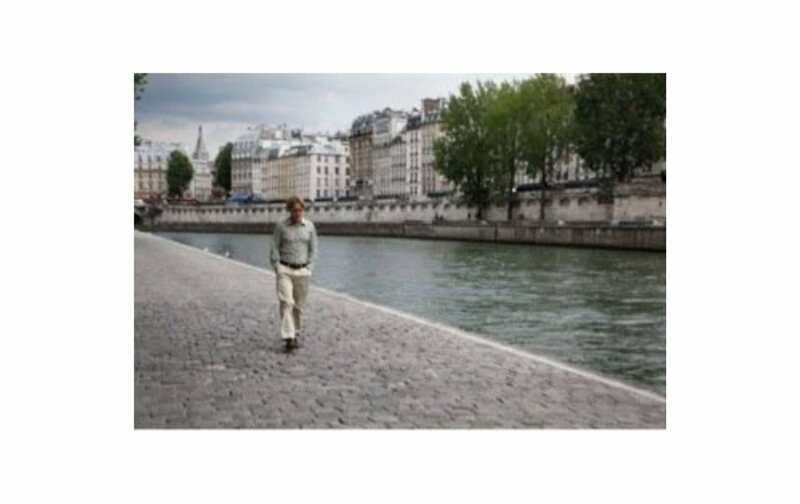 At the end of Midnight in Paris, Gil meets Gabrielle again and offers to walk her home in the rain. Woody Allen captures the magic and romance of Paris in the rain as they walk across the Pont Alexandre III, one of the most extravagantly beautiful bridges over the Seine. These are some of our favorite moments from this beautiful love story set in Paris, but there are so many more! Movie images courtesy Sony Pictures Classics. Discover Woody Allen’s Paris with our Midnight in Paris Tour map with locations featured in the film marked along with related spots. Retrace the steps of the characters in Midnight in Paris, and you might just discover a little bit of the magic of Paris for yourself! 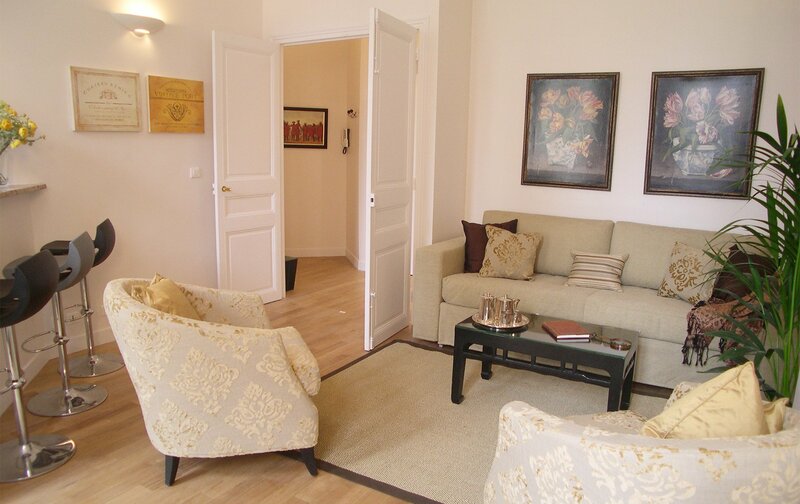 PREVIOUS: Our First Review for Our New Monet & Renoir Apartments! Posted on Wednesday, October 19th, 2011 at 11:55 pm in See & Do. You can follow any responses to this entry through the RSS 2.0 feed. You can leave a response, or trackback from your own site. Beautifully done explanation. Your own apts factored in in an elegant way. I saw this on the big screen 3 times and waiting for it to come out on DVD. Thank you for sharing! Just returned from a week in Paris and had seen the movie early, but so much more special with having seen it and experienced Paris. Loved it so much we are returning next year for 16 days at one of your lovely apartments. Beautiful article about the movie and its locations. I really enjoyed the movie as well, but I enjoy any movie filmed in Paris! What a wonderful virtual trip back to Paris! I’ve seen the movie three times in the theatre and plan to buy the DVD just so I can continue to relive my previous trip to Paris. Someday I hope to return and will definitely stay with Paris Perfect when I do so! Thanks so much. What fun it was revisiting the movie through your post. As many times as I have been to Paris, a couple of those locations were new to me. Always enjoy staying in your lovely apartments. FYI, the vintage taxi that picks up Gil is a Peugeot, to add to the authenticity of it all! I believe it is a Peugeot 184 Laundaulet, but I’m not an expert on these things. This is simply the very best movie to inspire visits to The City of Light. I viist several times each year and plan to share the locations with my clients. I watch my DVD constanty and dream of all the romance. 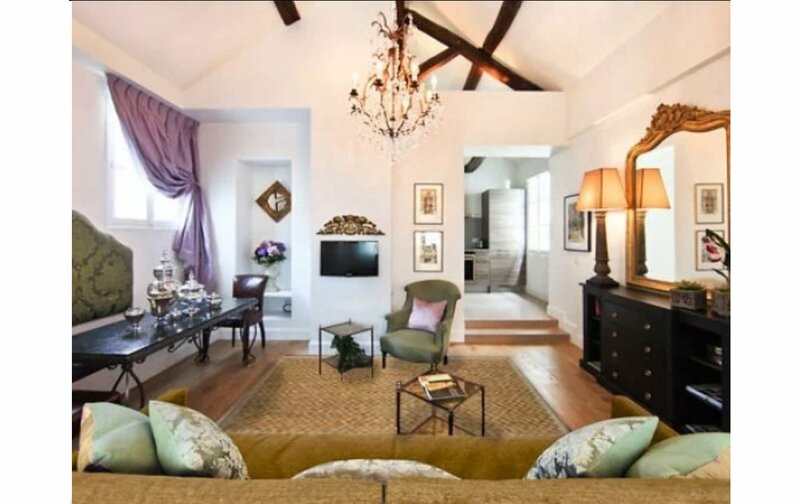 Paris Perfect has the most elegant apartments in Paris for sure. Perfectly stated by all respondents! We too saw the movie twice and cannot wait until we can purchase it. We are preparing for our seventh Parisian holiday and with your explanation, will take a walk with Woody. Beautifully done. Hi Lennie, thank you so much for your lovely comments. The movie takes in some of the best sights in Paris so I’m sure you’ll love following in Woody’s footsteps. I enjoyed this video! It blends film noir with Stardust Memories, The Purple Rose of Cairo, and a bit of Annie Hall. The scenes of Paris were enough to help make one fall in love. The music was superb! Having all the artists and writers show up was the ultimate name dropping contest! Their caricatures were hysterical! Casting Adrien Brody as Salvatore Dali was mind-numbing, combined with the surreal discussion about a rhino. 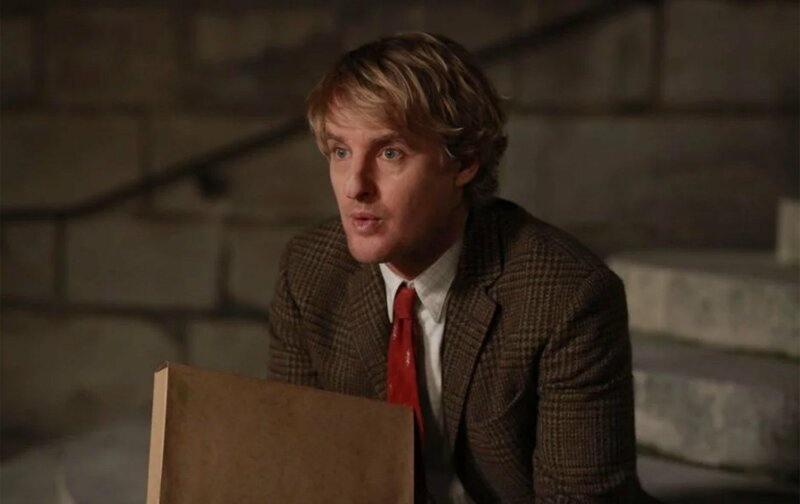 I think Owen Wilson is the perfect Woody Allen by far. He has a sort of naivete that seems to fit perfectly with who Woody seems to be and the combination of Owen’s good looks with Woody’s humor is riveting! Of course the “nostalgia” theme and the -I really want to be somewhere else because it’s too boring here- give the storyline a whole other layer of meaning. For we artists and writers it’s one of the things that sparks our creativity, so I loved this discussion and the never ending unraveling the story provokes. While he’s entertaining you, getting you to laugh hysterically about it all, you’re actually discovering the right point he’s attempting to make! There is no one who is so brilliant! Take joy in! No mention of the Musée des Arts Forains? One of my favorite scenes in the movie! In “Reality Time is was long ago, but in “Close My Eyes Time” it was a moment ago. I had just left Lidos on The Champs. A warm mist was kissing my face. As I headed to the 3rd side street to right, I bumped into a petite lady and she fell. In my very poor GI French, I tried to help her up to see if she was injured and to apologize. She was saying something in pure French that as over my head. I sensed she was not injured and was actually laughing. As the mist decided to turn into a rain, we quickly moved into the first doorway we saw. The rainstorm decided to turtle Citrpmd a light show and thunderous music. that made her jump and grab my arm. The headlights of a passing Citron showed me her face for the first time and mine to her. I shan’t go further, except to say the closing scene in “Midnight in Paris” returned the taste of her young soft rain moistened lips to mine, one more time.